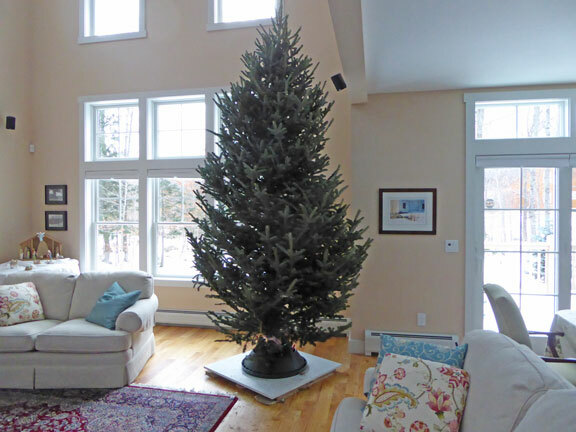 killingtonblog.com, Killington Vermont: Kudos to Killington for a successful World Cup....Christmas season begins with Christmas Tree Monday! Christmas season begins with Christmas Tree Monday! 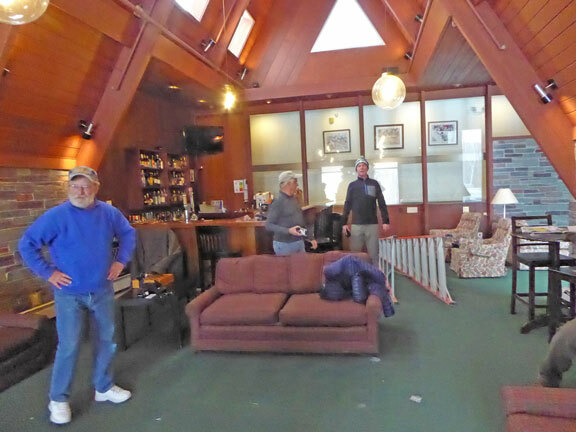 Before delving into the exploits of the Birch Ridge Crew and our annual expedition to locate the perfect Christmas tree, it is important to properly praise the Killington Resort for their success in running the Audi FIS Womens World Cup at Killington over the Thanksgiving weekend. It is impossible to call out everyone who was responsible for successfully implementing the project to hold the races, but clearly Herwig Demschar, Powdr Sr VP International Business Develp[ment, Mike Solimano, President of the Killington Resort, and Jeff Temple, Director of Mountain Ops at the Killington Resort and thier respective staffs, are to be congratulated for executing such an incredibly complex world class event at Killington. When well north of 30,000 people come knocking at your door and you invite them in, you better be ready...and was Killington ready! The Birch Ridge Inn was filled with guests all weekend who attended the event. 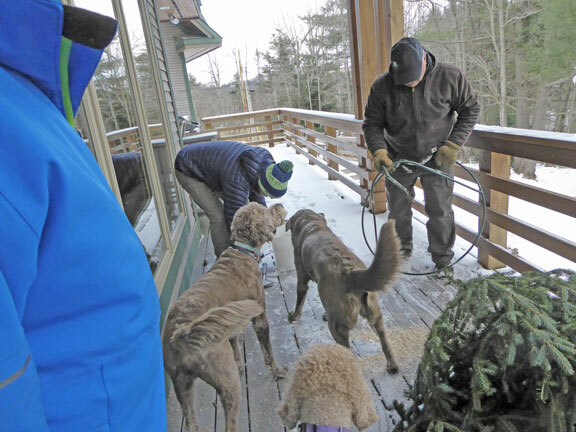 And down to a person, they were all beaming with pride for Killington, and for the skiers racing in the event, when they returned "home" to the inn each evening. 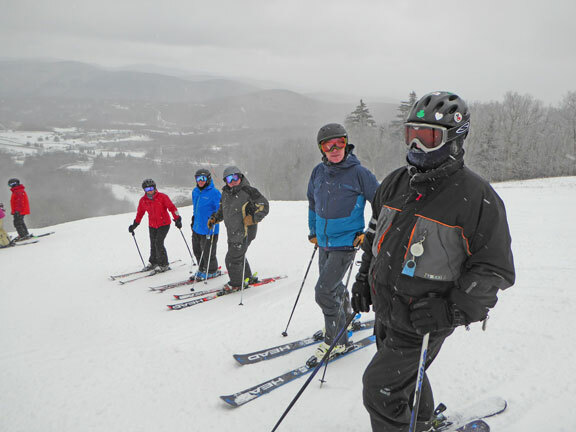 Thank you Herwig, Mike, and Jeff for having the confidence in the community to hold such an event in Killington, and for the your perseverence in seeing such a complex task through to a successful completion. 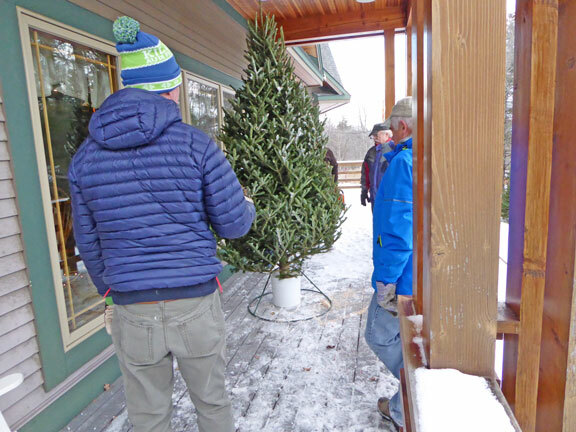 While all of the activites were taking place to welcome guests to Killington for the World Cup, in addition to preparing to host guests at the inn for the event, we were (and still are) busy implementing our plan to celebrate the Christmas Holidays. 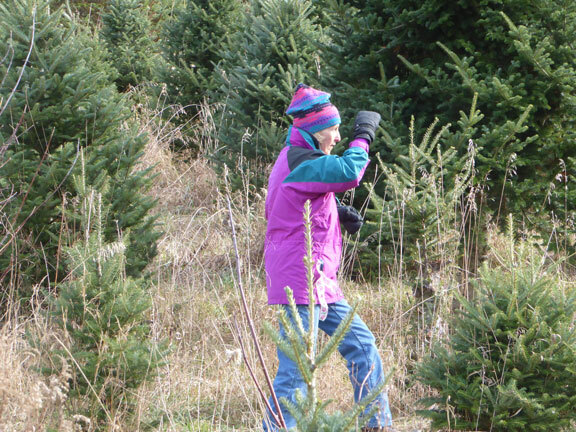 One of the major task, of course, is to hunt down the perfect Christmas tree for the inn. 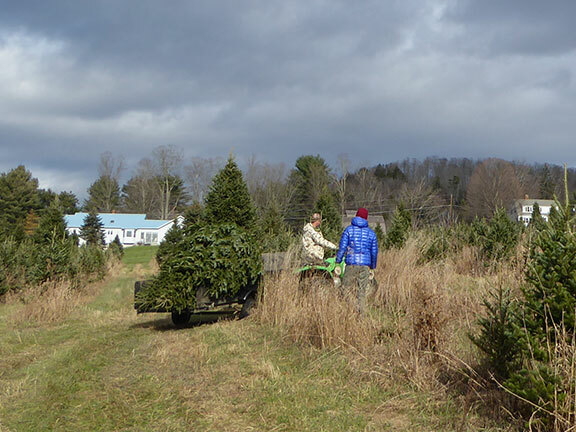 This year, in addition to finding a tree for the inn, Mary also took on the task of finding 4 additional trees for friends and the inns chef. The search for the perfect trees was on! Hauling the tree out of the forest. Tree waiting in front yard before coming into the inn. 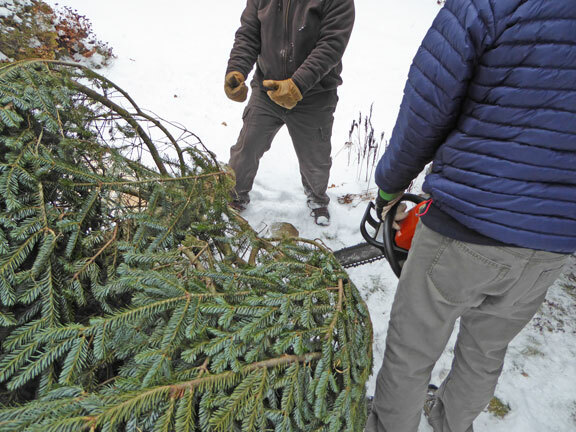 With the trees found, cut, and brought to their respective homes on the Monday before Thanksgiving, we all attended to our other respective duties. There were turkeys to cook, guests to greet, races to watch.... 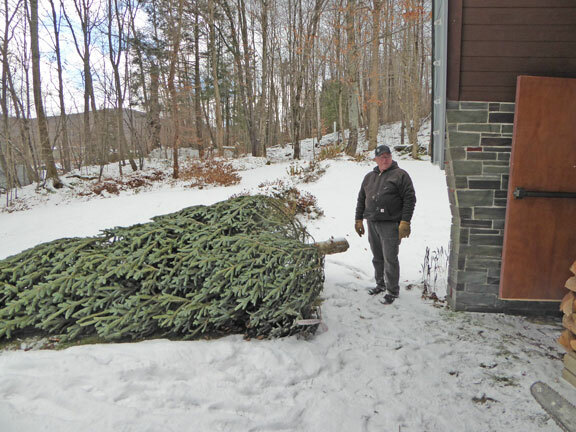 The Christmas trees had been safely filed back in our minds for a week until the arrival of "Christmas Tree" Monday with its attendend celebration and work. For the last 4 or so years, we start Christmas Tree Monday as people living is a ski resort properly should.....we go skiing. After that, we follow up with a lunch at the local Oriental restaurant, Sushi Yoshi, followed by a full afternoon of moving the Christmas trees previously cut into the inn and local homes. Skiing at Killington was great on Monday. Mary, Richard, Froggy. Peter, and Howie line up to begn a run. 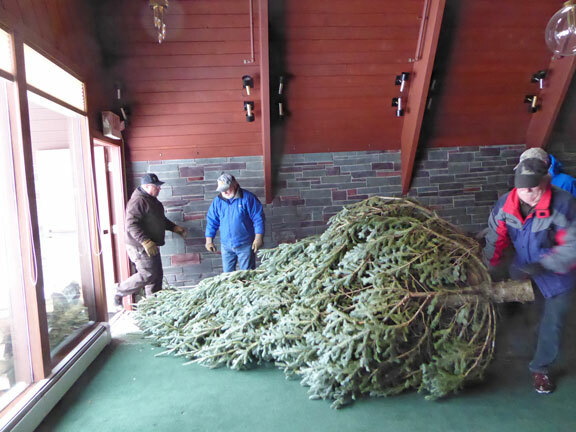 The Birch Ridge Inn Christmas tree unwrapped before bringing it into the inn. Froggy standing by to help haul it in. 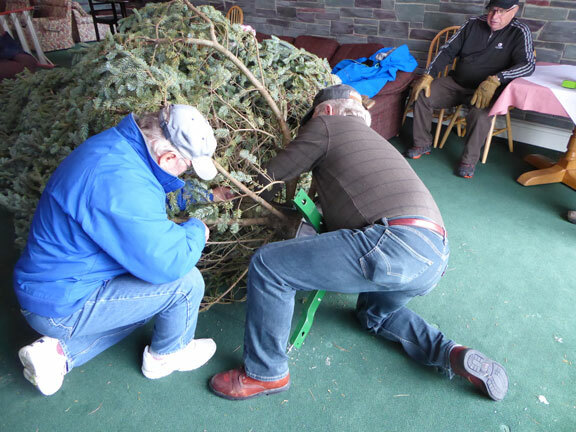 A little tree surgery to get the Birch Ridge Inn tree to fit into the inn. Sometimes it all boils down to muscle. Hauling the tree into the inn. 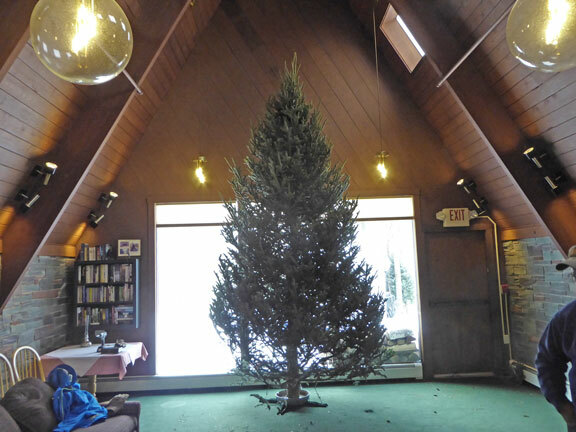 The Birch Ridge Inn Christmas Tree. 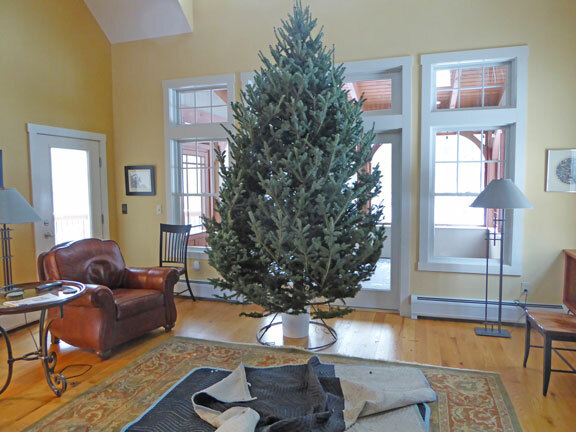 Successfully raised on Christmas Tree Monday waiting to be decorated. Richard and Mary M's tree waiting to be decorated. Froggy and Sherry A's tree waiting to be decorated. By this time the crew was going to the dogs so we called in some reinforcements. Peter and Ellen S's tree waiting to be decorated. With Christmas Tree Monday successfully under the belt, the full week is allocated to decorating the trees. 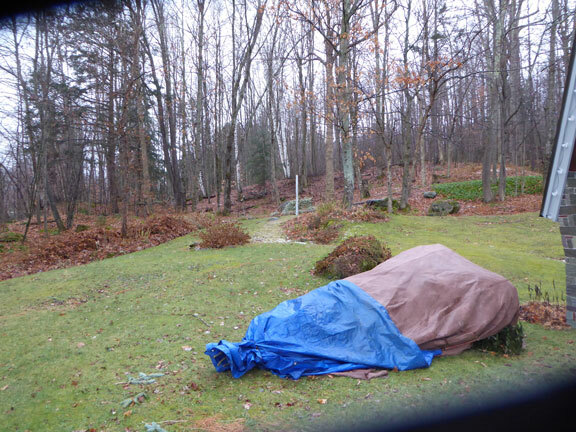 The Birh Ridge Inn Tree will be "Officially" lit on this coming Saturday at 6:30 PM. Stop bye if you are in town. And wherever you may be as we start off the holiday season....Think Snow!